Rita Wilsons, Beth Behrs, Scott Foley! The Talk plus Design Star! 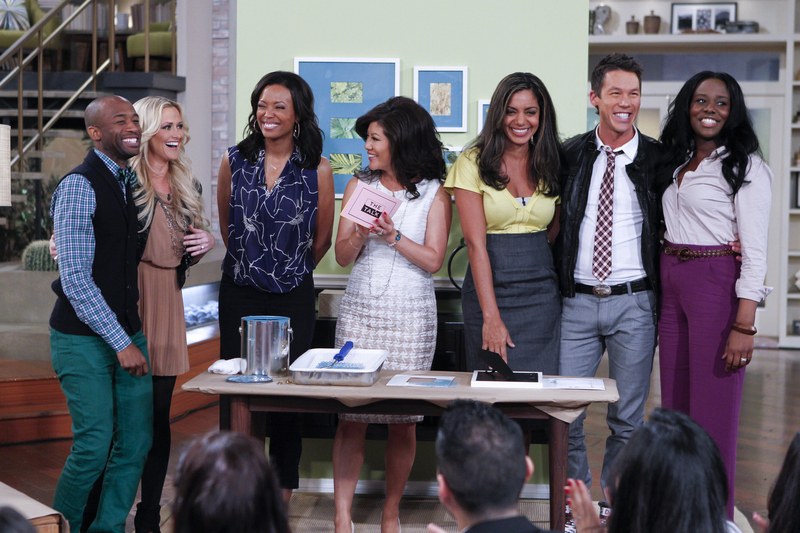 HGTV Design Star season 7 Mikel Welch, from left, Britany Simon, Aisha Tyler, Julie Chen, Danielle Coldina, host and mentor David Bromstad, Hilari Younger-Powellon on The Talk. Photo: Cliff Lipson/CBS ©2012 CBS Broadcasting Inc. All Rights Reserved.